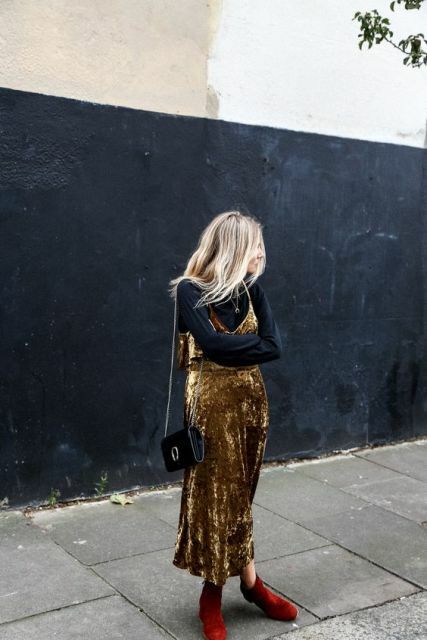 A velvet fabric is everywhere! Many designers choose it for their new collections, many fashionistas successfully create original and cool outfits with velvet pieces of clothes and accessories. 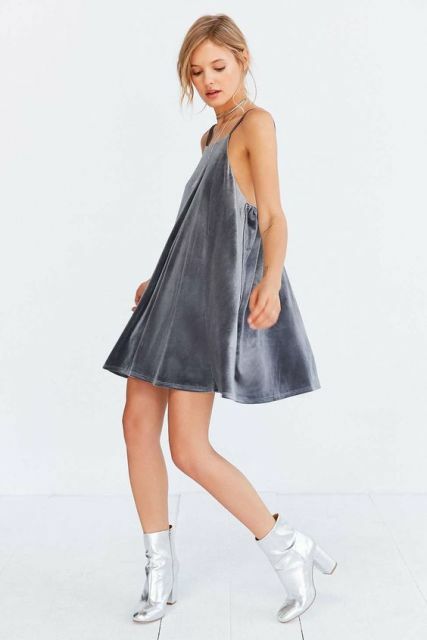 You can find velvet boots, skirts, jackets, bags, shirts and, of course, dresses. 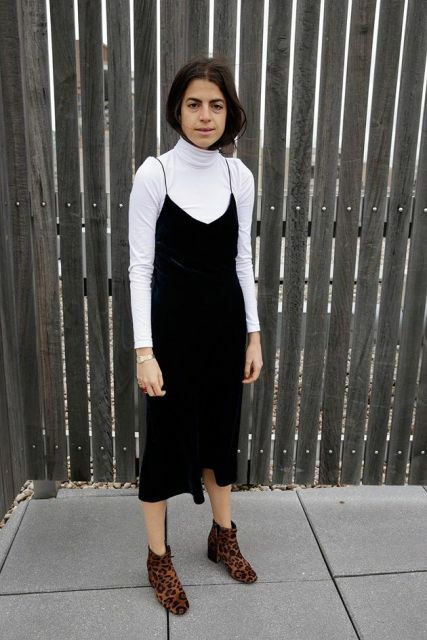 And I think that a velvet dress is a must-have for every girl this spring, so let’s consider all outfit ideas and get inspired. I offer you to get velvet slip dresses which will be perfect for any occasions from a glamorous event to everyday life. You can pick up any length (mini, midi, maxi) and colors you want from very chic dark to girlish bright ones. Wanna get more attention to yourself? Continue to read. If you wanna create an outfit for a party, then you should take this type of dresses. For example, combine a marsala maxi dress with a black velvet choker and black boots. Or mix a gray mini fitted dress with sheer inserts with a statement silver necklace. Wearing this dress you can look gorgeous even if you wanna meet with your friends or go shopping. Just find an emerald color knee-length wrap dress and pair it with black leather ankle boots, a chain strap bag, a simple chain necklace and sunglasses. This idea is absolutely awesome for spring days and very easy to repeat. All you need is to combine a shirt, a t-shirt, a blouse or a turtleneck to a dress according your style and an occasion. You can wear a simple white t-shirt with a pale pink velvet dress and white sneakers. Or pair an orange mini slip dress with a marsala turtleneck and brown leather ankle boots. Try to experiment with fabric textures and mix leather, suede, velvet ones in one look. Be creative!